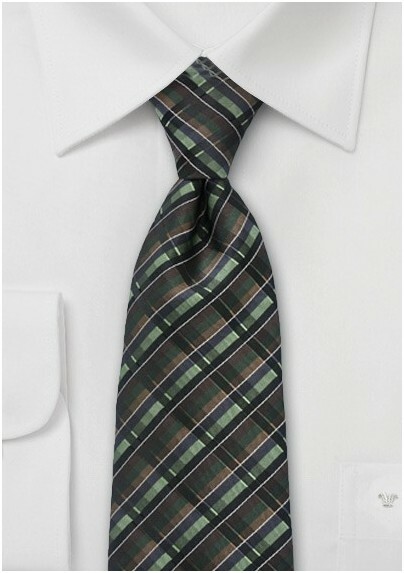 Spruce up your style with this modern and macho graphic patterned necktie in autumn shades of greens, blacks and browns. The high intensity motif packs a dynamite punch and instantly revitalizes and completes a look. Coordinate the perfect look for the Autumn season by teaming this tie with a white collared dress shirt and a perfectly tailored single breasted dark brown suit. 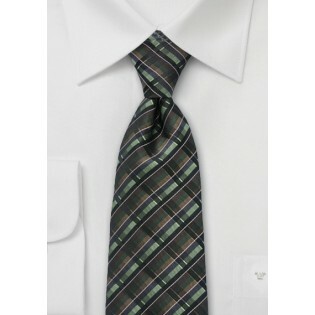 This versatile accessory is crafted from one hundred percent premium stain resistant microfiber. Designed by Puccini.